When your Real Estate's a mess, CalTerra SAYS YES! Upon death, a person’s belongings go through a legal process, known as probate, before any heirs can collect their new legal property. Even if the deceased left a last will and testament, some form of legal confirmation is needed in order to make a legal transition of ownership. 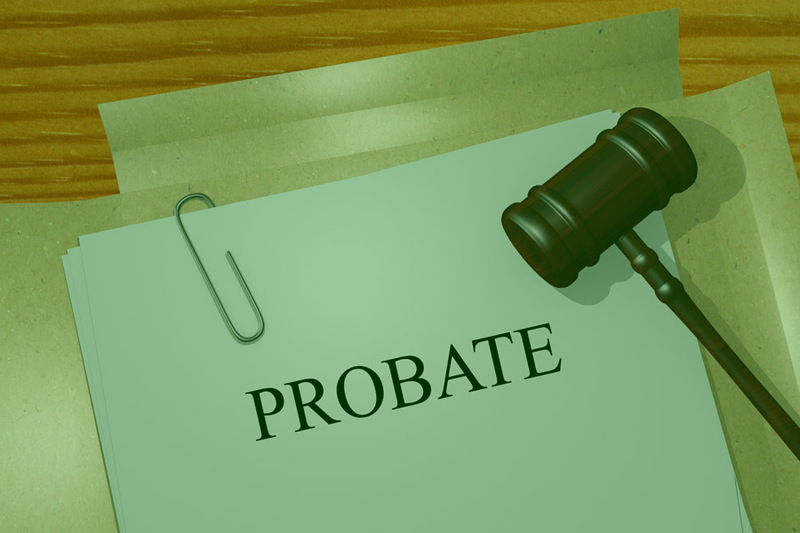 With estates valued at less than $150,000 and under certain conditions, California residents have the option to use a streamlined probate process. The first step is for the court to name an executor if one has not already been designated. The executor of the estate serves as a referee, of sorts, who take rulings from the judge and impartially distributes assets according to official documents submitted and approved by court confirmation. The first step in the process is to file a petition in the county where the decedent passed. Expect a hearing date to be established, usually within 30 days. One of the reasons for the length of time between filing and the actual hearing is to provide time for notices to be published in the local paper of record at least three times, as well as mailings to be sent to anyone named in the will and any potential creditors. Essentially, interested parties are being put on notice that this particular person has died and a distribution of resources is imminent. In the event there are no legal documents such as a last will and testament to direct how the estate should be divided, the laws of intestate succession are followed. This refers to state laws regarding how possessions will be divided among potential heirs. This process intends to achieve a fair and equitable distribution. If there is a question of which relative or spouse takes precedence over another, the judge will interpret the applicable laws of intestate succession in making the final decision. One of the executors main duties in the early part of the process is to identify and list all assets within the estate that are required to be probated. Not everything falls into this category. If it’s a simple matter of changing the name on an ownership document, stocks, bonds, bank accounts, and real property such as vehicles probably won’t need to be probated. California residents should check local regulations or consult a lawyer if unsure in this regard. An attorney is not required to shepherd an estate through the legal system and receive eventual court confirmation, though you might choose to hire one. The determining factor is likely to be the size and complication of the estate. Keep in mind that California allows a lawyer to charge fees in accordance with state statutes that begins with 4 percent for the first $100,000 of estate value and a sliding scale downward at lower percentages for estates of greater value. The bottom line is that an attorney doing this kind of work, which usually involves minimal court appearances, filing paperwork and making phone calls, get paid very well. Weighed against the reality that you might end up spending a lot in legal fees would be the repercussions of not really knowing what you’re doing and incurring serious delays and the irritation of the court when you miss deadlines or improperly fill out forms. You don’t want to end up with the referee against you. The real rub with the California probate system is a perpetual backlog of work that drags the process out. For a simple estate without complications, expect an eight to twelve-month legal process. If complications arise, it goes up from there. Keep in mind that a small estate (under $150,000) can likely skip the full-blown process.